Africa is typically associated with the world’s wildest places, yet this continent is also home to some spectacular hotels that can easily be described as among the most elegant and luxurious in the world. The following luxury hotels are well-worth visiting when you want accommodations that are unrivalled in terms of beauty and services. 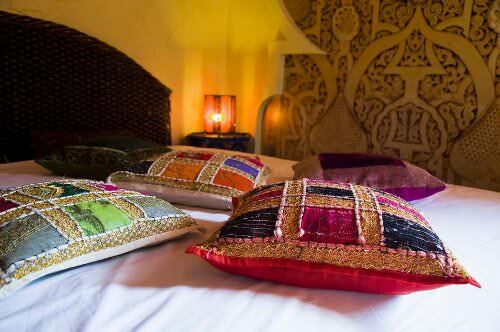 Bathed in enchanting scenery and the Marrakech sun, this splendid hotel is where one may go to feel rejuvenated and pampered in an unmistakable air of luxury. The spa is like no other with its elegant bathing pool that faces a fireplace. One feels like one has stepped out of time there. The suites and private villas exude five-star charm from every nook and cranny of the palatial establishment. The atmosphere is one of effortless majesty. This is easily one of the most luxurious hotels on the planet. This full-service luxury hotel boasts a marina as well a world-class spa and stunning swimming pool. 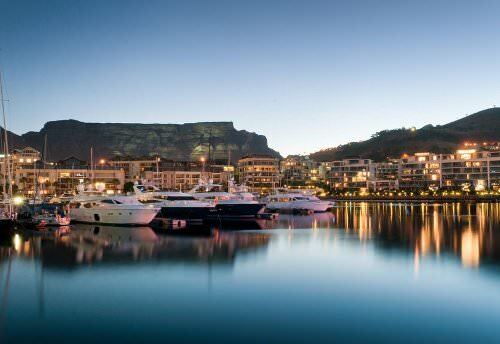 With views of the sea, the hotel is conveniently situated on the Victoria and Albert Waterfront and lies quite near the renowned Two Oceans Aquarium. As the most regal hotel in this most captivating of cities, Cape Grace is filled with beautiful decorative touches and every comfort. Guests will delight and a stay here and lament when it’s time to leave! 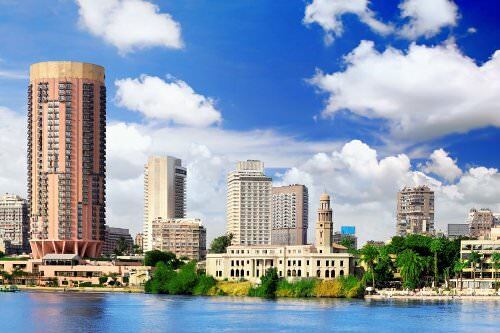 One of the most luxurious hotels in Africa, the Four Seasons Hotel Cairo at Nile Plaza is sumptuously furnished and filled with decadent attractions. Suites are simply over-the-time with their regal décor replete with rich fabrics and outdoor terraces. Elegant dining experiences and renowned spa treatments await guests who travel from all over the world to experience this illustrious setting in a most enchanting locale. This beautiful resort is utterly stunning with its infinity pool that seems to stretch seamlessly out into the Indian Ocean. Guests will also enjoy the on-site gymnasium and tennis courts. Many guests seek out this resort for its first-rate spa while others simply enjoy its unrivalled beauty and luxuriant décor. Impeccable cuisine, richly furnished rooms and villas, and perfect service make this one of the most captivating hotels in the world. 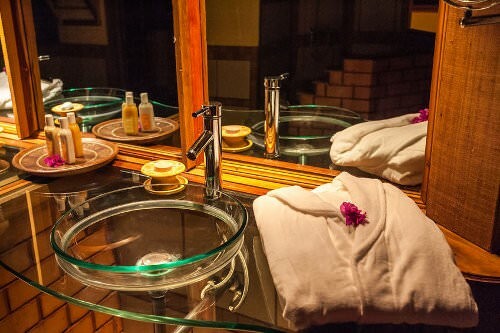 Situated among flower gardens in the city of Harare, this hotel is among the world’s best. Elegance at every turn of this modern high rise hotel, guests will also discover that the service and facilities are impeccable. Enjoy the grand piano as well as the richly furnished rooms and dining room. Guests will be enchanted by the pool and spa services that make this hotel a true standout. 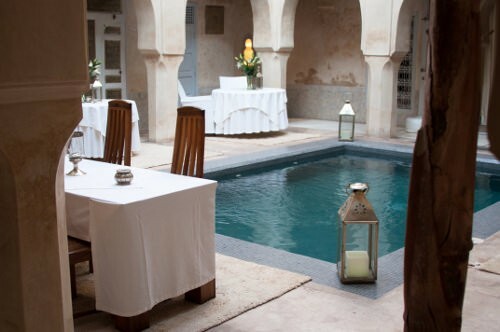 Stately elegance and exotic splendor are the hallmarks of this Marrakech hotel. The city boasts a tremendous array of luxury accommodations, but this one is quite singular in terms of both style and service. Their refined yet enchanting décor is complemented by elements such as their pool and unparalleled cuisine. Many suites are studded with columns and arches; one can’t help but feel quite royal when in residence of this decadent hotel in one of Africa’s most revered settings. This all-suite hotel is one of the most luxurious accommodations in Egypt. Pavilions and marble colonnades give this beautiful hotel an exotic yet regal setting. Pools boast fountains and marble courtyards give the setting a palatial air. This spectacular hotel is also celebrated for its various types of cuisine and breathtaking surroundings; activities include sailing and shore diving. With its world-class spa, the Oberoi Sahl is hard to beat for consummate luxury. This gorgeous lodge is as luxurious as the Serengeti gets! Guests may be in a wild region of the planet, but they will be enveloped in the lap of luxury at this beautiful accommodation. Enchanting views of the sweeping plains complement the rich interior defined by luxuriant leather and elegantly furnished rooms complete with bed draperies. 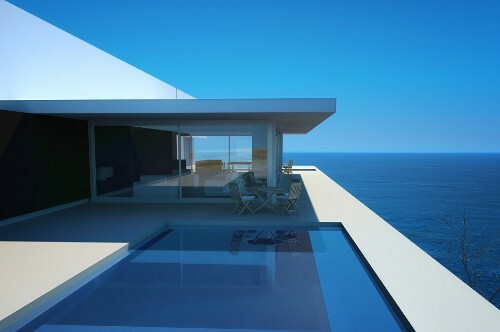 The cuisine is African inspired and other amenities include a spectacular infinity pool and world-class spa. 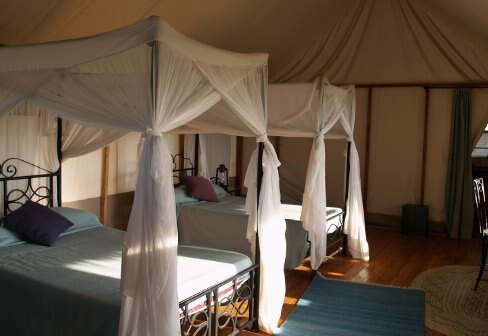 With its breathtaking views of Mount Kenya, this lush space is ideal for guests pining for a luxuriant experience. With its elegant country club atmosphere but comfortable air, the hotel is regularly featured on best-of lists each year. Gorgeous lawns and ponds complement the beauty of the hotel’s interior. Guests will find the cuisine to be unsurpassed and the service to be warm and endearing. The pool and its swim-up bar with a view of the sea may be the only reason one needs to know to book a stay here, but there is so much more to enjoy! 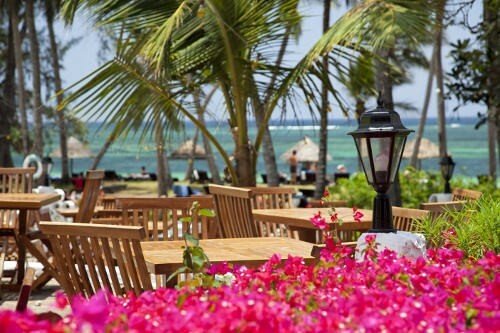 With serene lagoon views, Le Touessrok is easily one of the leading hotels in the world. With its world-class restaurants, bars, and spa, this hotel has all the makings of a captivating experience drenched in luxury and the surrounding natural scenery. These gorgeous hotels are the best in Africa. If you get the chance, be sure to book a stay in any of them to experience African luxury at its finest.